Today was Day #9 of Chocolate + Coconut + Caramel Theme Week. So many possibilities, so little time. 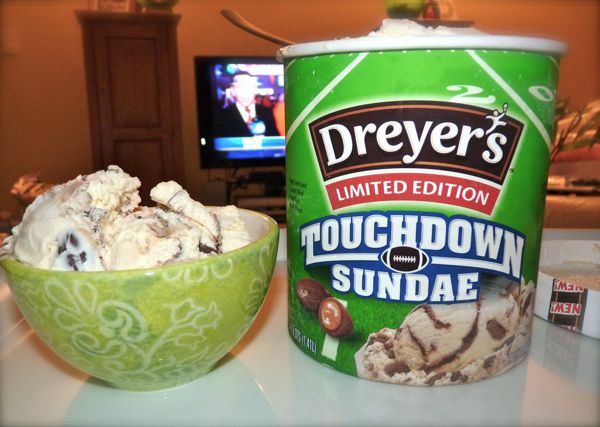 Some chocolate and caramel ice creams also have coconut oil in small amounts. 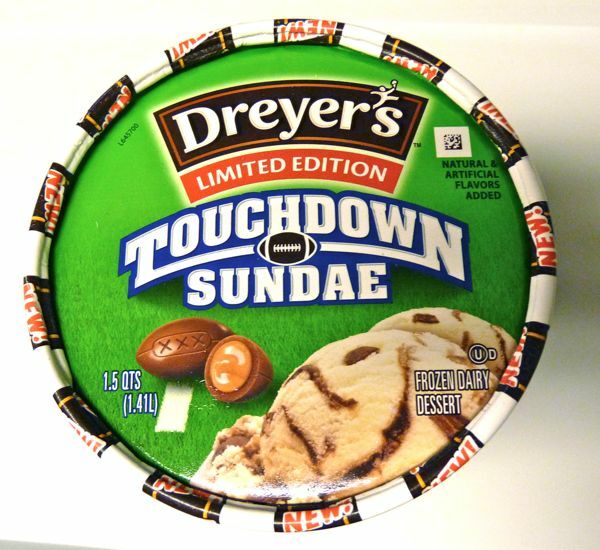 Today's Dreyer's Touchdown Sundae frozen dessert was such an offering. 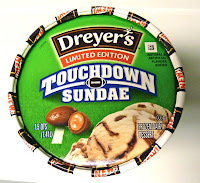 Little chocolate footballs filled with caramel in a vanilla ice cream base with a fudge swirl. I don't follow football that closely, but it was bowl game season, and today was the Rose Bowl game (Oregon vs. Wisconsin). 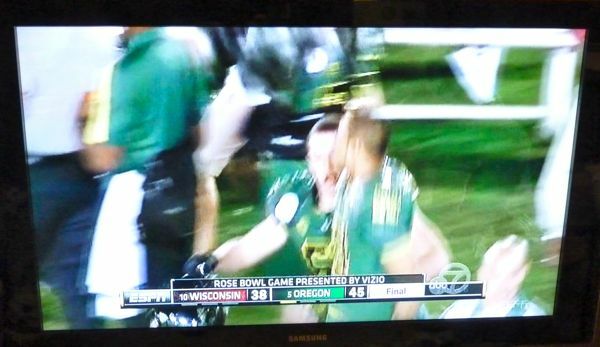 I was at work, but I caught the re-cap on the evening news (Oregon won). 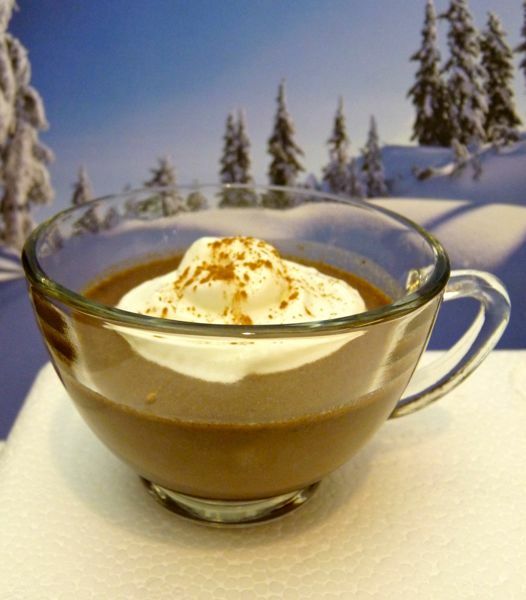 I did enjoy those little caramel-filled pigskins (footballs), and sipping a cup of "mutt mix" hot chocolate (made with chocolate leftovers + coconut creme).